Responding to a presidential directive to raise the CAA to international aviation standards in line with the recommendations of the International Civil Aviation Organization (ICAO), the new Sudanese CAA structure now oversees five separate operational companies: Sudanese Airports Holding Company, State Airports Holding Company, Khartoum International Airport Company, Consultative Aerodrome Engineering Company, and Sudanese Aviation Technology and Science Academy, in addition to an independent aerial accident investigation agency. 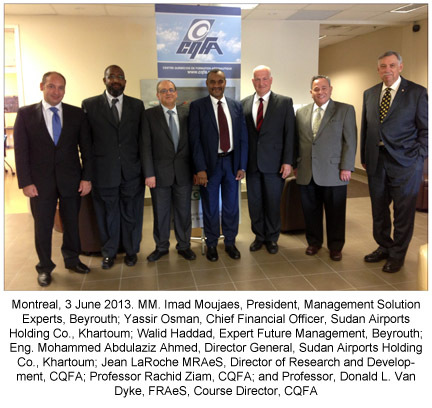 On June 3th, 2013, Sudan mandated the CQFA to provide the top 80 DG's, Directors, Managers, and Board of Director Members with leadership and civil aviation managerial training. Some training will begin in Montreal in August 2013, while most of the participants will be trained in Khartoum between October 2013 and February 2014. Following two years of research in North America and Europe, CQFA - Chicoutimi College, a member of the Unmanned Aerial Vehicle (UAV) Center of Excellence (CE) in Alma, Quebec, announces a first Pilot Training Program for UAVs or drones up to 25 kg. The intensive program applies to any individual required to operate a light drone in the workplace, such as police officers, firefighters, search and rescue (SAR) specialists, certain inspectors and engineers, cameramen, geometricians, or specialists in wildlife, forests, and cultures. No aviation background is required. The CQFA 130-hour training program concentrates on developing intellectual and physical skills and techniques essential to planning, preparation, and conducting of flights and the ability to perform appropriately in a given situation. The first part of the training will be offered via the CQFA eLearning System. Practical workshops covering drone repair, calibration, and programming of multi-rotor drones follow, including 21 hours of airborne exercises. CQFA has chosen KoptR Image Inc. of St-Mathieu-de-Beloeil as partners. "We are very happy to team up with KoptR Image, declared Jean LaRoche, CQFA Director of Research and Development. KoptR Image Inc., a leader in UAV imaging, has developed an impressive safety management system one would find in the best airlines." I have found CQFA's E-learning an excellent avenue of presenting topics, and renewing knowledge, on a broad range of subjects. The Jet Performance Course was outstanding. It was a valuable refresher and a very useful topic for those advancing to the jet transport category. 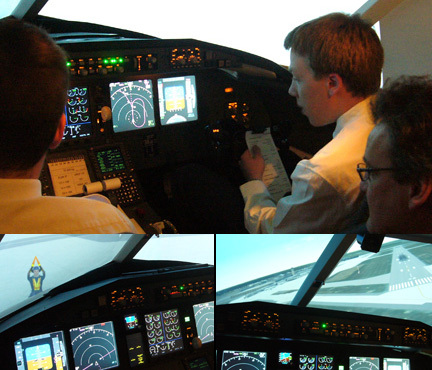 For many of my colleagues, fully understanding jet performance appeared to be difficult. Many avoided getting deeply involved in the subject and just did their best. The introduction of the computerized RTOW data provisions certainly helped some get over their phobia of using the manuals. 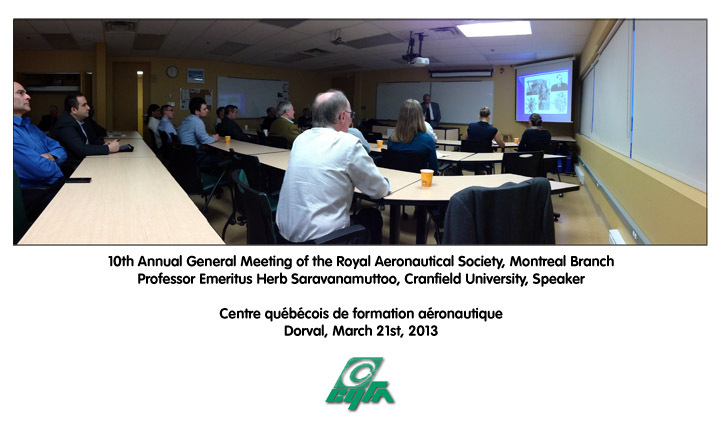 CQFA is proud to team up with the Canadian Council for aviation and aerospace (CCAA) to promote and offer specialized workshops on SMS. This growing collaboration allows CCAA to reach more industry stakeholders and offer more training opportunities. A first workshop took place in August 2010. CQFA and the Air Transport Association of Canada (ATAC) team up offered a Pilot Selection Systems 2-day workshop immediately after the Annual General Assembly which took place at the Westin Bayshore Hotel in Vancouver in November 2010. The course was given by CQFA's Senior Lecturer, Psychologist Diane Damos Ph.D.